Good value for money. I'm a repeat customer. Prompt order processing and despatch. Great service and great product. Very satisfied!! When we were updating our bathroom and ensuite we decided to install these units which we had first seen in a Movenpick Hotel in Egypt 10 years ago. We are so pleased with them that we recommended them to our daughter who is in the process of updating her own bathroom - hence the recent order. Service was excellent - ordered 4pm one day and were delivered by Royal Mail the following morning-2nd Class mail, not bad! The despatch team keep you posted with order progress. The durability of the hose can be questioned but one gets what you pay for. 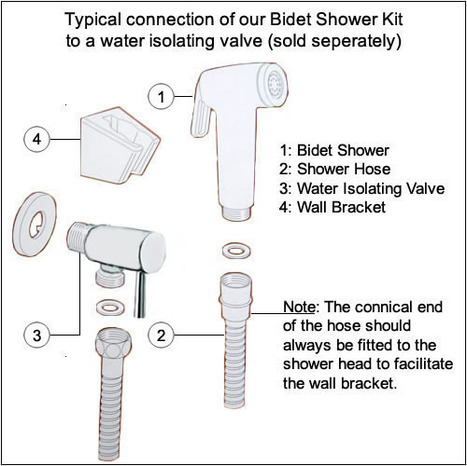 Premium Quality Bidet Shower with 1/4 turn water isolating valve. 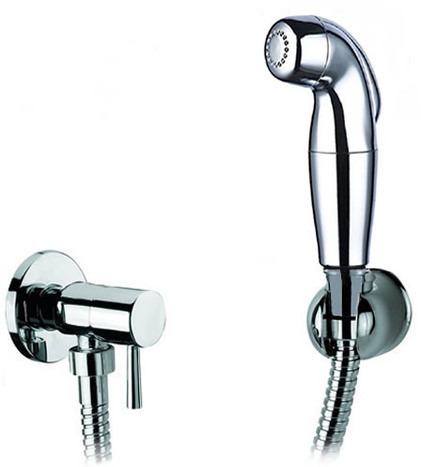 The bidet spray head is manufactured in high impact ABS with a mirror chromium plate finish. Postage is free with in U.K. & from £4.95 to other countries dependent on location. MET2390: Premium Quality Bidet Shower. 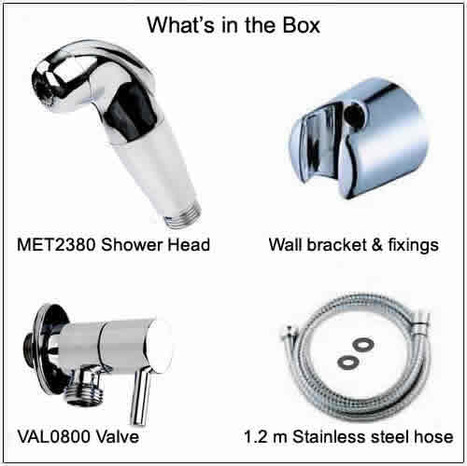 Bidet shower head with water control button type trigger The bidet showery head is manufactured in high impact ABS with a mirror chromium plate finish. Weight of shower head, around 68 grams. VAL0800 1/4 turn ceramic core water isolating valve. Basic installation information available by clicking the Installation Guides.